A large proportion of meteorological stations in mainland China are located in or near either urban or agricultural lands that were established throughout the period of rapid urbanization and agricultural development (1961–2006). The extent of the impacts of urbanization and agricultural development on observed air temperature changes across different climate regions remains elusive. 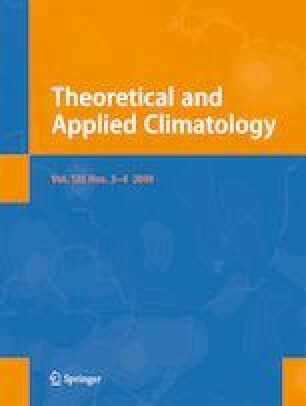 This study evaluates the surface air temperature trends observed by 598 meteorological stations in relation to the urbanization and agricultural development over the arid northwest, semi-arid intermediate, and humid southeast regions of mainland China based on linear regressions of temperature trends on the fractions of urban and cultivated land within a 3-km radius of the stations. In all three regions, the stations surrounded by large urban land tend to experience rapid warming, especially at minimum temperature. This dependence is particularly significant in the southeast region, which experiences the most intense urbanization. In the northwest and intermediate regions, stations surrounded by large cultivated land encounter less warming during the main growing season, especially at the maximum temperature changes. These findings suggest that the observed surface warming has been affected by urbanization and agricultural development represented by urban and cultivated land fractions around stations in with land cover changes in their proximity and should thus be considered when analyzing regional temperature changes in mainland China. The land use data were provided by the Data Center for Resources and Environmental Sciences, Chinese Academy of Sciences (RESDC) (http://www.resdc.cn). This research was partially sponsored by the National Key Research and Development Program of China (2016YFC0402707), the National Natural Science Foundation of China (No. 51579249, 41425002, 41730645), the Research Fund (No. 2016ZY06, SKL2017CGS03) of State Key Laboratory of Simulation and Regulation of Water Cycle in River Basin, China Institute of Water Resources and Hydropower Research, and the National Youth Top-notch Talent Support Program in China.